Meet the team that is helping social workers, police officers, and other public servants connect people in need with the services they need. Michael Kehoe is the Board Chair and Executive Director of Johego. In these capacities, he is responsible for implementing strategic objectives developed by the Board of Directors. While working on a water and sanitation assessment in Sierra Leone, Michael became interested in how to more effectively coordinate the efforts of individuals and organizations working in the public interest. 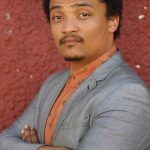 By founding Johego, he hopes to improve social service delivery throughout the United States, using big data and mobile technology to streamline the collection, curation, and delivery of information concerning the availability and quality of public resources. Michael earned a BS with honors from the University of Illinois at Urbana-Champaign and an MS from Stanford University. Prior to working on Johego full-time, he was a senior staff engineer for an environmental consulting firm, where he gained licensure as a professional engineer and worked on iPad applications for field data collection, among other projects. In his free time, Michael enjoys exploring St. Louis, meeting new people, and reading as much as he can. Krushna Kamtekar is a Data Engineer at Johego. In this role, Krushna will handle the responsibility of developing data pipelines which will act as a data source/data feeder to Johego’s mobile and web application. Krushna graduated with a Masters degree in Computer Science from Washington University in St. Louis and a Bachelor’s degree in Computer Science from the University of Mumbai. During his time at Wash U, he had the opportunity to intern at healthcare companies like Siemens Healthineers and Express Scripts. 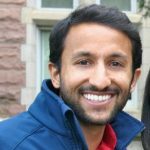 Krushna is passionate about building data products and identifying patterns and meaningful insights from large datasets. 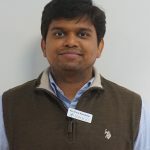 Krushna is excited to be a part of the Johego family and wants to leverage his expertise to help scale Johego’s mobile and web application. Outside of work, Krushna loves cooking and enjoys playing cricket and soccer. He’s a big fan of sporting teams like Mumbai Indians and Real Madrid. Michael Goldman is the Frontend Developer and Product Designer at Johego. 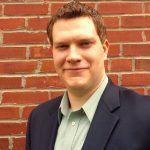 In this role, Michael will help design and develop the next generation of user-facing Johego software. With a personal mission to improve lives through the power of well-designed software, Michael was drawn to Johego. His experience developing various mobile-ready web applications and a passion for user experience have led him to this role. Michael has a BS in Computer Science as well as a Certificate in Entrepreneurship & Innovation from Purdue University. In his time at Purdue, he lead a tech startup to second place in The Boiler, a mini-accelerator competition, and learned many lessons in the process. In his free time, Michael enjoys playing drums and exploring St. Louis. Quentin is a Board Member at Johego. In this capacity, Quentin supports Johego’s strategic planning, product development, and customer acquisition, among other initiatives. Over the years, Quentin has been involved with numerous entrepreneurial ventures and organizations. 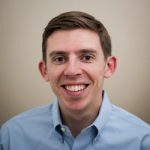 Currently serving as the Square One IT Track Leader, Vice President of Lumate Inc., and Business Operations Manager at Multiply Media, Quentin is passionate about improving processes, growing companies, negotiating fair business deals, and seeing new thought leadership applied to organizations of all sizes. These passions have lead Quentin to his current roles which allow him to have the most positive impact possible on multiple organizations. 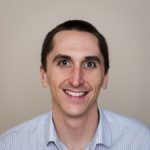 Quentin has his MBA, a degree in Management and Information Systems, and a certification for Sustainable Business from Missouri University of Science and Technology. In his free time, Quentin enjoys watching movies, attending concerts, and learning new things. Powder Metal Controller, Burgess Norton Mfg. Co., Inc.
Laura Novack is a Board Member and Treasurer for Johego. In these roles, she provides strategic objective planning and financial management for the organization. Laura works as the Controller of the Powder Metal division for Burgess Norton, an international manufacturer of piston pins and powder metal parts. At Burgess Norton, she provides support in month end closing, financial reporting and financial analysis. Her previous work experience includes financial audits of non-profit organizations similar to Johego. 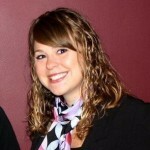 Laura earned both her Masters in Accountancy and BS in Accounting from the University of Illinois at Urbana-Champaign. Outside of work, Laura enjoys traveling, cooking and trying new workouts with family and friends. She has been an active member of her community since she was young and is excited to support Johego’s efforts to improve social service delivery. Crystal Merritt is a Board Member for Johego. In this capacity, she is responsible for developing Johego’s strategic objectives, especially as related to branding and market research. Crystal is a Vice President and the Director of Account Planning at Rodgers Townsend/DDB, a nationally acclaimed, full-service marketing communications agency. 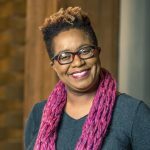 Her 20+ year career in advertising covers a range of disciplines: general market advertising, B2B advertising, urban advertising, direct marketing, digital, and social. She has helped telecom/tech, insurance, travel, retail, medical, and nonprofit organizations build their brands, based on qualitative and quantitative research. Crystal has a Bachelor of Arts degree in Government from Harvard University and is a lifelong explorer of new methods, tools and techniques related to branding and market research. In her free time, Crystal enjoys spending time with her dog, playing on RT Chickens softball team, and volunteering in her community. She is exited to leverage her insights and experiences to help Johego grow. 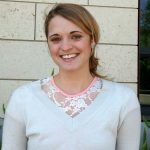 Mary Cameron was Johego’s first-ever Data Science Fellow and currently serves as a Volunteer Data Scientist at Johego. As an avid puzzle fan and math nerd, Mary learned early on that she could help make the world a better place by using math and computers to help chip away at big problems in our community. She is delighted to be putting those skills to use as a member of the Johego team, where she collects, analyzes, and validates the information that goes into the Johego social services directory. Mary has a B.S. in Mathematics from Arizona State University and an M.S. in Computational and Mathematical Engineering from Stanford University. She is currently finishing her Ph.D. in Civil and Environmental Engineering from Stanford University, where she is using mathematical models to quantify the effects of air pollution on climate and health, and developing solutions to help society transition to 100% renewable energy. When she’s not on her computer, Mary enjoys firing up an audiobook and going for a long trail run in the beautiful California mountains. 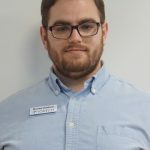 Ryan Moniz is a Volunteer Data Scientist for Johego. In that capacity, he is developing and implementing strategies to achieve a variety of organizational objectives through social media. Ryan works as a data scientist at Facebook, where he leverages his analytical and project management skills to improve advertising outcomes on the world’s largest social network. Ryan earned a BS in Civil and Environmental Engineering from the University of California, Davis and an MS/PhD in Environmental Fluid Mechanics and Hydrology from Stanford Engineering, where his research was focused on scale-dependent dispersion within the stratified interior on the shelf of northern Monterey Bay. Outside of work, Ryan enjoys water sports, board games, snowboarding, and romping with his French bulldog Bowser. Zac is serving as an Executive Advisor to Johego’s CEO, Michael Kehoe. In this capacity he is helping to shape Johego’s strategic and tactical development, as well as secure partnerships that will support Johego’s business and technical evolution. Zac is also a Partner at Future Laboratories, a nationally-recognized education initiative, and advises a number of organizations in the social justice and social innovation space. A 2008-2009 Henry Luce Scholar, Zac has taught at MIT, the University of Washington, and Richard Hugo House, and has held policy positions with the Mayor of Memphis and the Selangor State Assembly. He was also a lead game designer for the card game Magic: The Gathering and a designer for Duels of the Planeswalkers, which was named one of the top 100 games of all time by PCGamer Magazine. He lives in Manhattan. Zac’s mission is making the world work for as many people as possible in the shortest possible time. Tom Townsend co-founded Rodgers Townsend in 1996 with Tim Rodgers, when they left D’Arcy Masius Benton & Bowles (“DMB&B”), the St. Louis office of one of the largest firms in the world at the time. In 2006, Rodgers Townsend was acquired by DDB/Omnicom. Prior to Rodgers Townsend, Tom spent ten years at DMB&B/St. Louis, most recently as Senior Vice President/Group Creative Director, where he worked on M&M/Mars – Milky Way, Twix, Skittles, and Combos snacks, Anhueser-Busch beers, Blockbuster, Southwestern Bell, and other major brands. 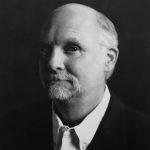 Tom has received industry honors through awards from the National Addy Awards, The One Show, Communication Arts, the Daytime Emmy Awards (shared with Ben Bohling and Nathaniel Bull), Archive, Print, Graphis, and Cannes. Prior to DMB&B, Tom was a Creative Director of Gardner Advertising owned by Wells, Rich and Greene. There his accounts included Ralston Purina and Southwestern Bell. Prior to Gardner, Tom was at Stolz Advertising in St. Louis, where he worked on McDonald’s and other regional accounts. With Tim Rodgers, Tom shared the Ernst and Young Entrepreneur of the Year Award; he is a 2014 inductee into the St. Louis Media Hall of Fame; and he has received an honorary Doctor of Letters from Savannah College of Art and Design. Early in his career, Tom was honored as one of “40 Under 40” people to watch in St. Louis. Tom studied jazz piano with Mary Lou Williams, he has played piano with Chuck Berry, and BB King once loaned Tom 100 dollars, which was paid back in Japanese yen. Upon the loss of his oldest son in 2010, Tom started the Alex Townsend Memorial Foundation to support music and art initiatives. The two major projects of the Foundation are the A-Town Get Down Music and Art Festival in Savannah, GA, and Pianos for People, which gives acoustic pianos to underprivileged families. 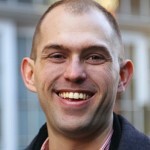 Tom also writes a blog regarding his experience with loss at iwillfindbeauty.com, and facebook.com/Iwillfindbeauty. Darren is serving as a Peer Advisor to Johego’s Executive Director, Michael Kehoe. In this role, Darren helps Michael identify and prioritize actions to achieve Johego’s strategic objectives. Darren has spent over a decade working to empower children to reach their highest potential. He’s helped to develop multiple clubs, camps, and programs across the country that have equipped children and young adults become leaders in their communities. He and his wife, Danielle Jackson, launched the first LOOP club in 2016 serving 30 clubbers across St. Louis. Dan serves as a Peer Advisor to Johego’s Founder, Michael Kehoe. In this capacity, Dan helps Michael develop, test, and refine tactics and strategies to advance Johego’s objectives. Dan is the cofounder of Mavuno, a nonprofit organization that empowers local leaders in eastern Congo to end extreme poverty in their own communities. At Mavuno, Dan helps organize communities and build businesses at the grassroots level. Mavuno’s five-step process is designed to place local interests and ingenuity at the center of a community’s development. Dan served on active duty for seven years as an Explosive Ordnance Disposal (EOD) officer in the U.S. military. He holds worldwide operational experience, and was awarded the Bronze Star Medal for actions in Afghanistan. Most recently, he served a 2-year tour in South Korea before transitioning to Mavuno full-time. Dan is a passionate leader who believes the Congolese already have the right people, the right talent, and the right ideas – his goal is to simply unlock the doors of opportunity. He currently resides in South Bend, IN with his wife and two sons. Disclaimer: In their capacities as Johego board members and staff, the above personnel affirm that they are not acting as agents of any external organizations.